Zara is a bit of an enigma. They launch collections at such a rapid pace—sometimes with little or no warning—leaving shoppers to discover launches on their own. (Yet another reason why regular perusals of the site are all but necessary.) Our latest Zara discovery is a big one: The retailer has added a gymwear category to their New In section, and the styles and prices are incredible. As of now, most pieces are marked with an option to enter your email to be notified when they become available. Our advice? Sign up for notifications now, because the pieces are sure to sell out when they're live on the site. 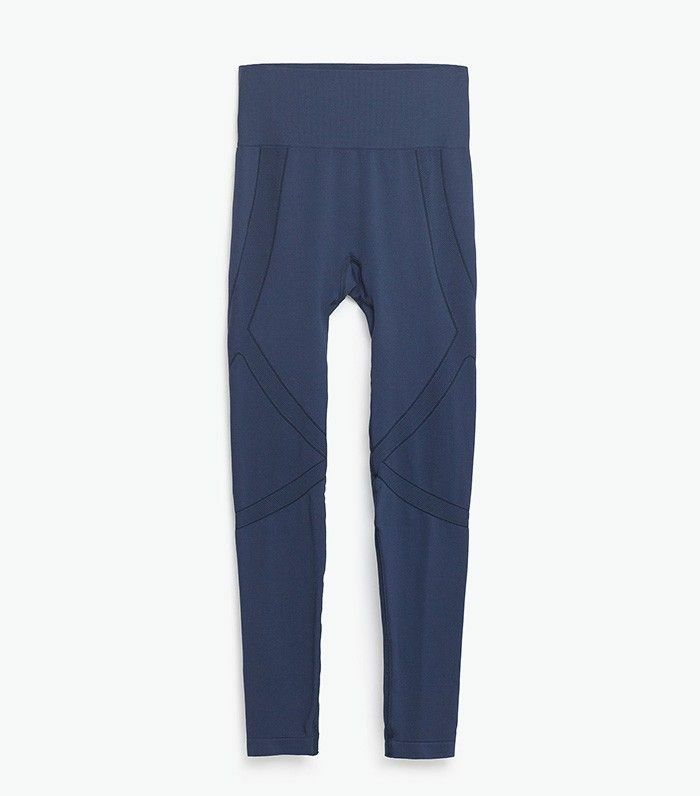 Figure-flattering leggings, lightweight jackets, ankle socks, yoga gear, bags, hoodies, sneakers, and ever gym gloves are among the offerings, ranging in price from $8 to $70. All of your affordable, stylish athleisure prayers have officially been answered. Keep scrolling to shop our picks from Zara's new gymwear collection! Are you planning on purchasing from Zara's new workout gear collection? Tell us in the comments below!